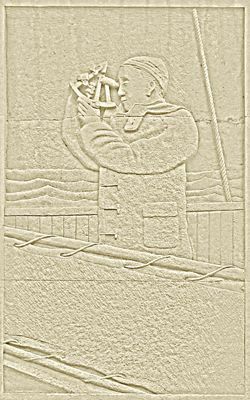 This memorial to the merchant seamen of Barry who died during the World Wars was errected in 1996. 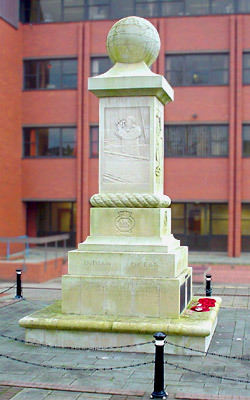 It is located outside the main civic offices on Holton Road and is quite prominent in this position. There was some debate as to suitable locations and suggestions included a local headland. 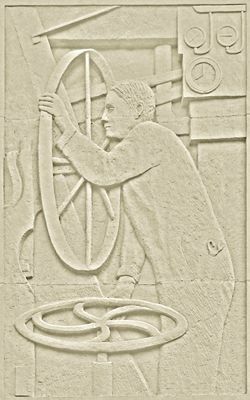 In the light of the weathering effects already suffered by the Portland Stone, it is probably just as well it is where it is. 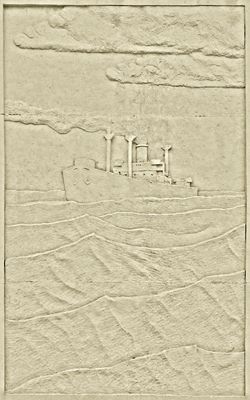 The photographs here of its three pictorial panels have been enhanced to lessen the effects of the weathering and show the original reliefs more clearly. Another page shows photographs of the name plaques listing the sailors known to have perished. It is a serious relation, that in which a man stands to his ship. 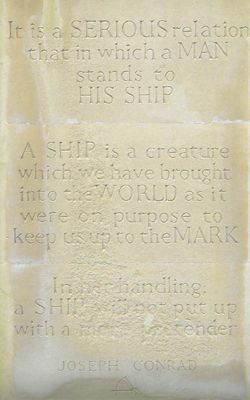 (But) a ship is a creature which we have brought into the world, as it were on purpose to keep us up to the mark.